After a great first race a couple of weeks ago, it is time for round two of the NEO Endurance Series. The paddock went from the east coast to the Lone Star State. Round two is held at Circuit of the Americas at Austin, Texas. 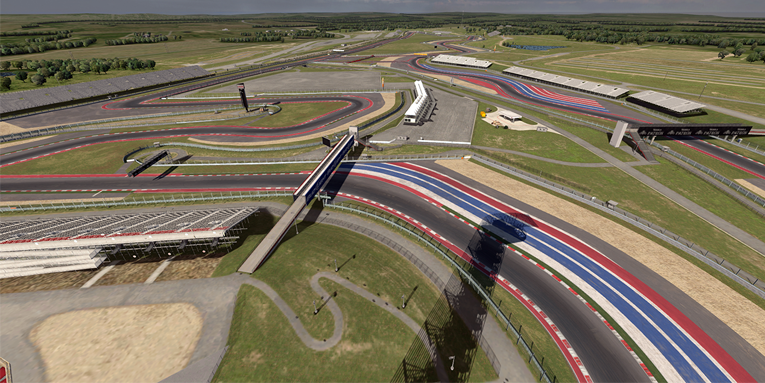 The 6 Hours of COTA starts on Sunday December 21st at 14:00 GMT. Take a look at the entry list for a detailed overview of the teams and drivers. Don’t forget the spotters guide, made by Niel Hekkens. The best way to watch the race is on the NEO live timing page. Here is all the information a viewer needs: live stream, race updates and live timing. To stay up to date, follow @NEOendurance on Twitter and like our Facebook page. Join the conversation on social media by using #iRNEO. 16:00 06:00 Free practice 1 840 min. 12:00 15:00 Free practice 2 180 min. 15:00 16:00 GTC qualifying 60 min. 16:00 17:00 GT qualifying 60 min. 17:00 18:00 P qualifying 60 min. 11:00 13:30 Warm-up 150 min. 13:30 14:00 Setting up the grid 30 min. 13:40 13:50 Drivers briefing 10 min.